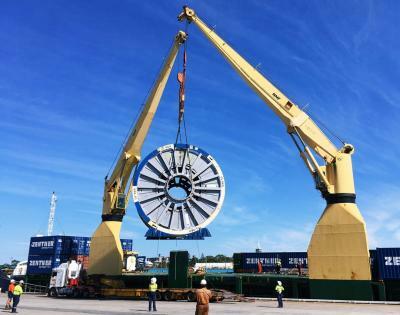 Sadleirs Global Logistics in Perth were tasked with sourcing a solution to move a Cable Reel from Fremantle to Tanjung Langsat in Malaysia. 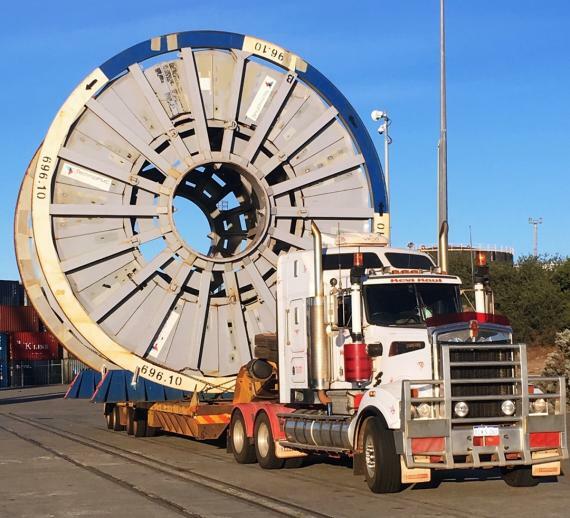 The cargo was 8.6 m in diameter and 5.8 m wide, weighing in at 56 MT. Sadleirs organised the move on an ASCL vessel with dual 60 MT cranes. Their planning and execution had to be changed at the last minute due to another unrelated vessel, berthed nearby, suffering an oil spillage in Fremantle Harbour. 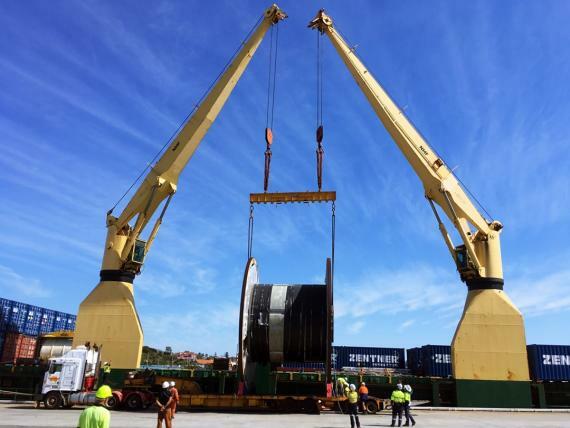 The disruption caused by the subsequent clean-up process meant we had to move the reel along the wharf face to the re-assigned berth for the ASCL vessel. The planning change scope of work involved port handling, OOG transport and wharf stevedore co-ordination. Both of the vessel’s cranes were used to perform a ‘dual’ lift to stow the reel on deck (see gallery below). The entire movement was carried out effectively and efficiently, even with the forced change of plans, with no delays to the transit.